rk is one of the most important and biodiverse marine regions in the world. It has an abundance of extremely rare species such as sea turtles, Dugongs, Humpback whales, dolphins and sharks. On land, lion, leopard, elephant, buffalo, wild dog, hyena, a diversity of antelope and much more add to this natural wealth. The Quirimbas National Park is located in six central districts of northern Mozambique’s Cabo Delgado Province, encompassing an area of approximately 7,506 square kilometres – 5,984 of these are on the mainland and 1,522 encompassing island habitats. The marine section of the Park comprises 11 of the southernmost islands: Quipaco, Quisiwe, Mefundvo, Quilalea, Sencar, Quirimba, Ibo Island, Quirambo, Fion, Matemo, and Ilha das Rolas. Mogundula Island lies in the park buffer zone. The islands are oriented in a rough north-south line parallel to, and at a distance of approximately 10km from, the mainland. The story of the creation of the Quirimbas National Park is a unique scenario. The Park was declared in June 2002 with the celebrations and official functions taking place on Ibo Island – which is now the Park’s headquarters. What is extraordinary is that the Park was established at the request of local communities, stakeholders and NGO’s, all interested in working together to protect the region! It has been found that conservation can only really be effective if it has the support of the communities that inhabit the areas. Many communities live within the Quirimbas National Park boundaries and their decision was unanimous. The Quirimbas National Park goal is “to conserve the diversity, abundance, and ecological integrity of all physical and biological resources in the park area, so that they may be enjoyed and used productively by present and future generations”. The Park is extremely selective about which tourism projects and investments it allows into the region, with an emphasis on high quality, low impact responsible tourism where the communities also benefit. The world-renowned offshore sea atoll, Banco de São Lázaro, is 42 nautical miles due east of Ibo Island, and is also included in the Park area. The Banco de São Lázaro is located between 12°06’00” S and 12°17’00” S and 41°25’32” E and 41°26’00” E.
The marine section of the park displays wide variations in depth. The underwater topography is characterized by a series of deep, east-west running channels which cut through the continental shelf and support a diverse coral growth. The Montepuez Channel south of Quilalea Island, the Ibo Channel north of Ibo, and the Matemo channel just south of Matemo island are examples of these. The fringing reef begins at the end of the coral flats. Depth here falls away rather directly, in some cases vertically, to the abyss below! Depths of 200 metres occur extremely close to the coral fringing reef as the continental shelf is quite narrow here. In a nutshell, the marine world and diving in these areas is spectacular and is considered some of the best in Africa. 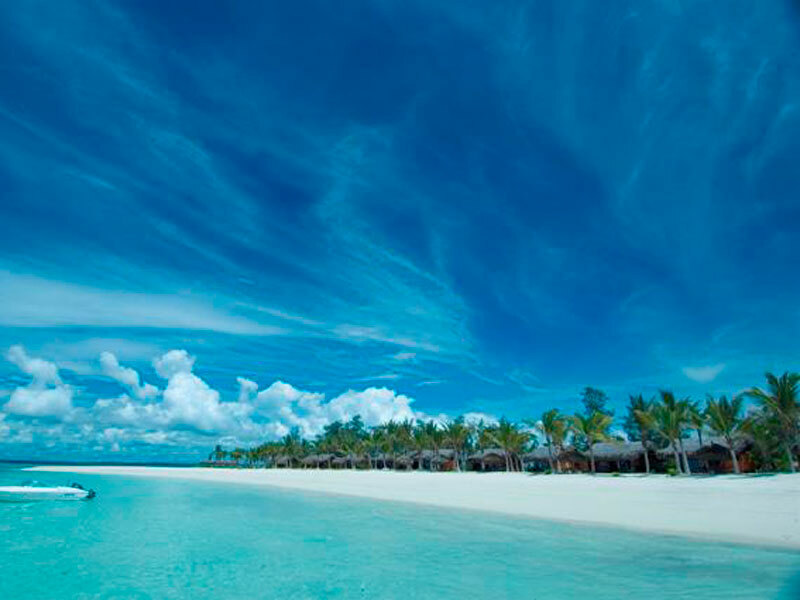 And at Vamizi Island, designed to take your breath away, you get to mix barefoot bliss with exclusive luxury. See it to believe it – sleep in enormous villas on this 12 km long crescent-shaped desert island where the finest linen encourage deep sleep. Another not to be forgotten Quirimbas Archipelago hotel is the glorious Azura at Quilalea – all villas are built from natural coral stone and makuti thatch, decorated with earthy materials. The lodge’s refreshing green ethic means that it impacts as little as possible on the island ecology using wind generation, solar power, rainwater harvesting and rechargeable batteries to save energy. FEIMA – Feira de Artesanato, Flores e Gastronomica – Maputo – a wondrous colourful place where you can find anything created by hand: baskets, wooden boxes, carved bowls, jewellery, T-shirts, art and much more. Barter your way around and get good prices for quality souvenirs to take home. Sit down at one of the two restaurants within the market grounds for something Mozambican and delicious. Or grab a taxi to the famous fish market in Maputo and chose your prawns and shellfish fresh from the market. Then have them cooked peri – peri style in the restaurants a few meters from the market. Fort Sao Sebastian – Mozambique Island – impressive in size and history, this landmark on Ilha de Mozambique is the oldest complete fort still standing south of the equator and many feel it is the finest military building in Africa. The Portuguese started building the fort in 1558 and took 62 years to finish their masterpiece. There is plenty of information about this iconic building and with a local guide, it is worth the visit just to feel its aura. Ibo island further north in the Quirimbas has a similar but less grand five star fort. Catedral de Nossa Senhora da Fatima – Nampula – If you love churches, then visit Our Lady of Fatima Cathedral or the Metropolitan Cathedral of Our Lady of Fatima in Nampula. This Catholic Church still functions as the cathedral of the Archdiocese of Nampula and was built between 1941 and 1955. Check out the two towers and arched portico. And if you are travelling to Mozambique Island from Nampula stop at the Catholic Church at Meconta. Also a beautifully built building with an amazing history. During the civil war two Portuguese priests stayed for the duration in an isolated and action packed area. They were never harmed because of the work they did with the local community! Ndzou camp – Chimoio – get back to nature in an eco-camp in the middle of Moribane Forest Reserve near Chimoio. A local NGO called Eco-Micaia and a local community developed this amazing initiative together in a bid to conserve and preserve the beautiful forest and their endemic elephants. Enjoy great food, accommodation and staff who treat you to elephant tracking safaris in authentic nature. Go “back to the basics” way of life, using saved water from the tank and power from the solar batteries. Your dedicated guide will mix legends and field knowledge while looking for the elephants. And of course if you have gone this far then you have to stop at Gorongoza National park nearby. Its not called Africas Eden for nothing and is an amazing conservation success story. Swim with the dolphins at Ponto do Ouro or Ibo Island – experience the unforgettable thrill of this surreal ocean swim with wild Dolphins. Learn more about these playful and very clever mammals from the researchers who go with you. 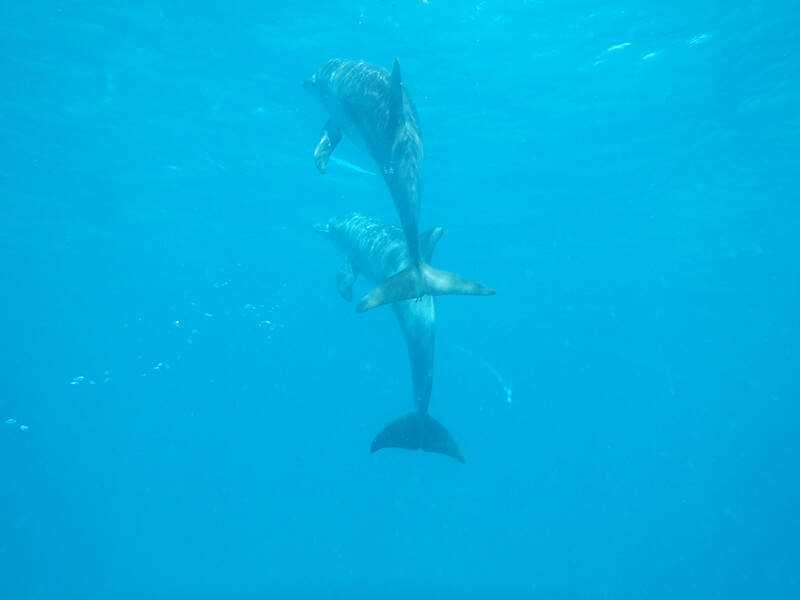 The Dolphin Centre has nurtured a very special bond with a group of wild dolphins that come regularly to Ponta do Ouro waters. 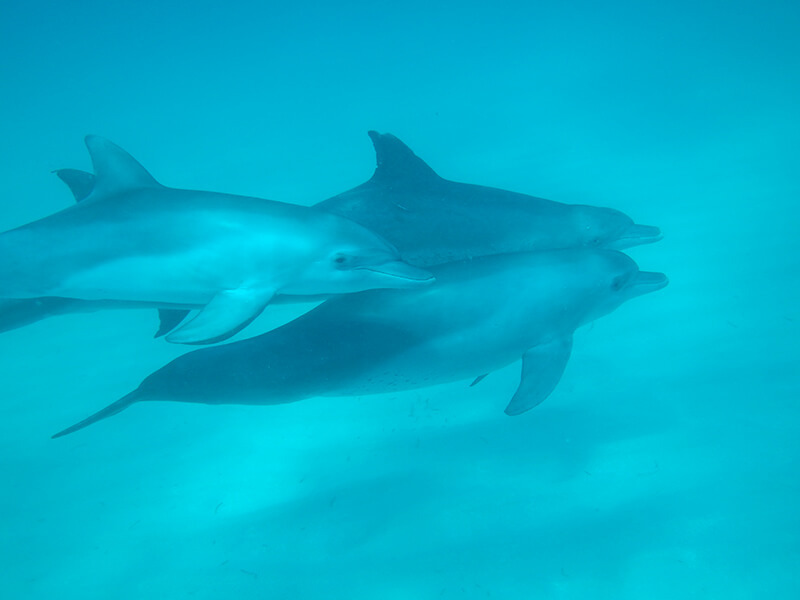 The creature-human relationships are strong and the two mammal species really have learned to socialise under water. 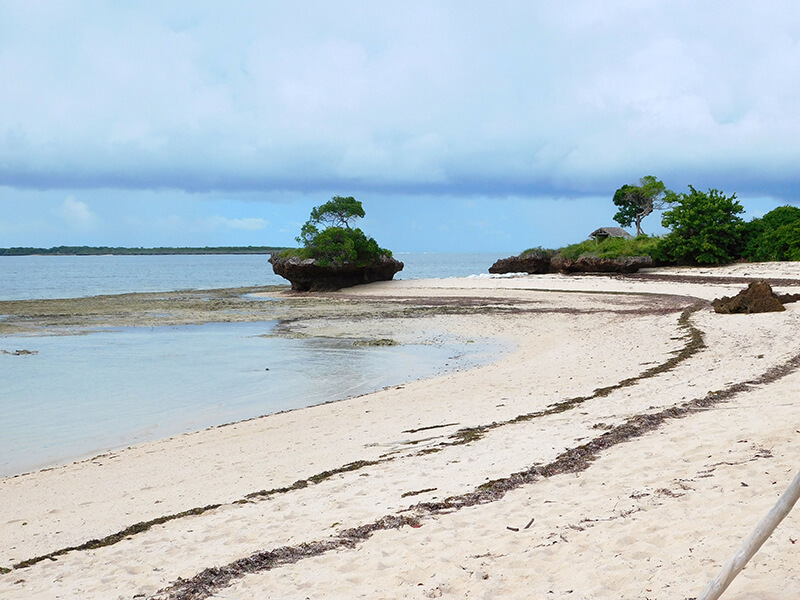 You can also do the same on Ibo Island in the far north of Mozambique’s quirimba Islands. Follow the responsible Code of Conduct, appreciate the sustained conservation of the ocean and its creatures. 6. Maputo Elephant Reserve– enter one of the remaining unspoiled regions of vast, craggy and magnificent beauty in southern Mozambique. This is 4×4 country so come prepared for adventure and wild fun. This reserve forms part of the Lubombo Transfrontier Conservation Area, home to more than 200 elephants. The best part of your holiday is the many close encounters you get with these huge creatures for a thrilling and serene experience that is certainly not to be missed. The Reserve covers approximately 90 km2, and rises from sea level to approximately 150 metres near the western border. Look out for hippopotamus, duiker, zebra, kudu, baboons and bushpigs. There are also said to be important nesting sites for sea turtles along the west coast. The area has now been renamed the Maputo Special Reserve, has been restocked and there are major plans for facility upgrades and camps to rival Kruger Park! 7. Street bash in Pemba on Sundays– Stroll down the main road just behind Wimbe Beach in Pemba on a Sunday afternoon around 3pm. You will be pleasantly surprised at the throngs of happy people also strolling along. You may wonder if it is someone’s birthday or a festival but this is the usual Sunday afternoon vibe. Join in the jam sessions with the sounds of guitar and drums then sit down where you are to eat delicious street food from various vendors along the street. Or pop into one of the many restaurants for authentic peri-peri prawns and traditional Mozambican and Portuguese cuisine. 8. Ibo Island Dhow Safaris – Jump on board a modernised, motorised dhow with billowing white sails and you will be in the hands of our pro guide and experienced skipper and crew. Ibo Island Lodge is the only operator to offer fully guided mobile Island hopping dhow safaris in the magnificent Quirimbas Archipelago National Park in northern Mozambique. You will spend your sunny days snorkelling, diving and sea kayaking. Throw in three nights of comfort at Ibo Island Lodge, with all its fascinating history and culture, and you are set for a dhow safari of a lifetime! 9. Bahia Mar Boutique Hotel Conference & Wellness Centre – for real comfort and style, choose this modern accommodation where luxury and privacy matter. A spacious, fully serviced en-suite bedroom, fully equipped self-catering pied à terre, or combinations of both – for the perfect holiday base in Mozambique. Wake up to breath-taking sea views and indulge in spa treatments or a gym session. Meet caring, friendly staff, taste superb food, and sip cocktails in the sparkling infinity pool. 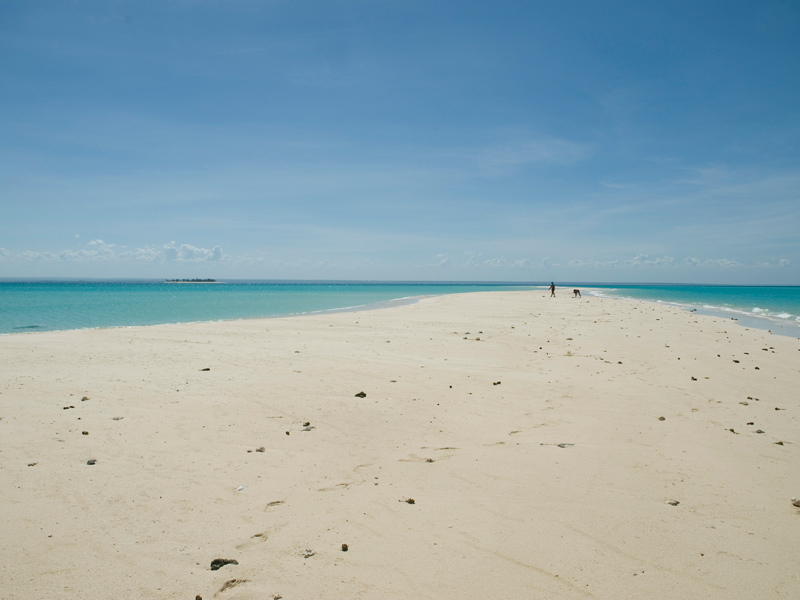 Find it on an elevated plateau with panoramic views over the islands of Bazaruto Archipelago. 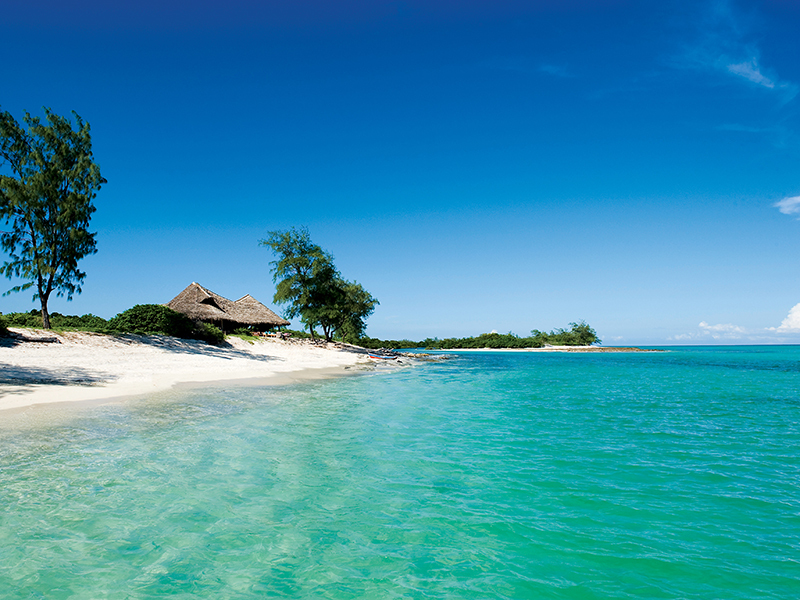 We have introduced you to 10 of Mozambique’s best-kept secrets so can you keep a secret? Go and find these things and rate them according to their uniqueness, their ability to entertain and create happiness for all tourists. Start Panning your escape to Mozambique and let us know if there are any more secrets out there worth keeping. We specialize in bespoke and off the beaten track holidays to Mozambique. Read our 5 reasons to visit Mozambique and whet your appetite for a holiday in a friendly African destination. We know there are at least 105 reasons to visit Mozambiques amazing coast but start here and then book your ticket. What a relief that Mozambique still leads Africa in proclaiming marine reserves to protect her ocean species. Tourism to this glorious holiday destination continues to rise as intrepid travellers hear about the scuba diving in Mozambique. The warm Indian Ocean promises so much diversity of spectacular wildlife under turquoise waves. There are enormous and gentle Whale sharks, an endangered species which use filter-feeding methods to eat tiny food particles. Divers love to hover above huge Manta rays which can actually fling themselves right out of the water when swimming fast. See them near Tofo and in the Bazaruto Archipelago. The rare Dugong eats sea grass and rises to the surface often to breathe air. See these shy creatures near the Bazaruto Archipelago islands. It is difficult to spot the Leafy sea dragon which resembles a bit of seaweed whereas the Blobfish is just that, a blob. Like a chunk of jelly they float around looking for food. One of the most recent and the largest marine protected area in Africa is the region covering 10 islands in the Primeiras and Segundas Archipelago. Saving several corals and turtles, this marine park is essential for tourism and the future of the ocean environment off Africa. Travelling the more than 2 000km of wonderful coastline off Mozambique takes time so choose the best beaches and enjoy their quality slowly. 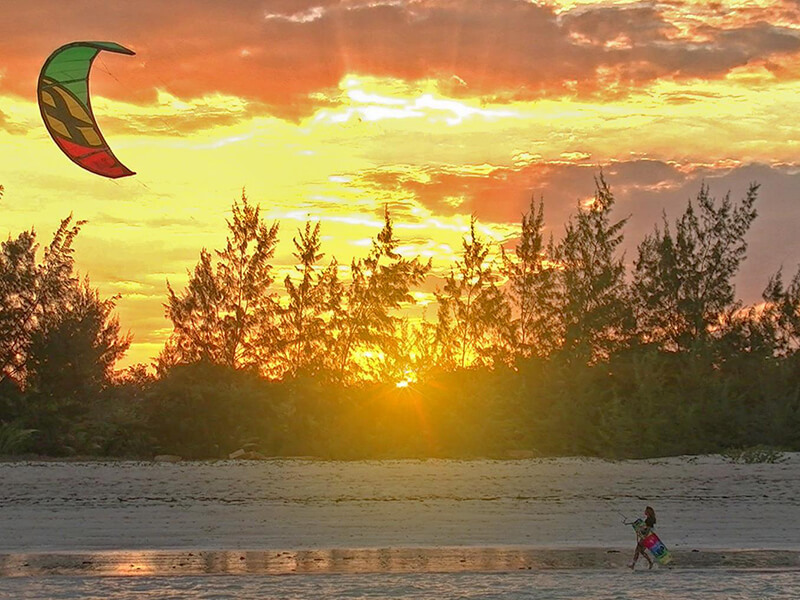 Mozambique surely boasts some of the best beaches in Africa and your holiday should at least include some island beaches, some in Inhambane, Vilanculos, Pemba and Maputo. From the palm-lined shores of Barra and Tofo to the Baobab groves in the Quirimbas Archipelago, beaches are often devoid of human life. From the southern wildness of Ponto do Ouro and Inhaca to the charm of the Bazaruto Archipelago, you can choose lavish villas or more rustic dune chalets. Allow your friendly travel agent to design a special package for you to a destination of your choice. Choose your budget and your season and there will be a villa, a hotel, a guest house or a self-catering mansion available for you. So many deals, so little time – for divers, honeymoon couples , fishermen and party animals there is a holiday special for you. Many of these packages include your flights and transfers, some water sports, some drinks and delicious meals. Self-drive holidays may be enticing but read the fine print and go fully prepared for plans to change. Make sure you hear the music of the Mozambicans when you visit this cultural African destination next holiday. The Niassa people in the remote north-western region love music and tend to play wind instruments created from dry and hollowed calabashes. This earthy sound is like a trumpet. Head to Maputo to hear the famous Mozambique marimba bands and traditional music, often regarded as similar to Reggae music. Where there is music there is dancing and the hunting dance of the Chopi is a spectacle not to be missed – dancers dress in lion skins. It all depends where you decide to spend your Mozambique holiday and which tribes will be nearby. It is fascinating to watch the ‘hopping’ dance of the Makua men who move around on tall stilts or if you are exploring Ilha de Mozambique you may observe the tofu dance there. If you choose Tete as your holiday venue, you may take part in the common dance called nyanga which involves dancing, singing and playing the panpipes. 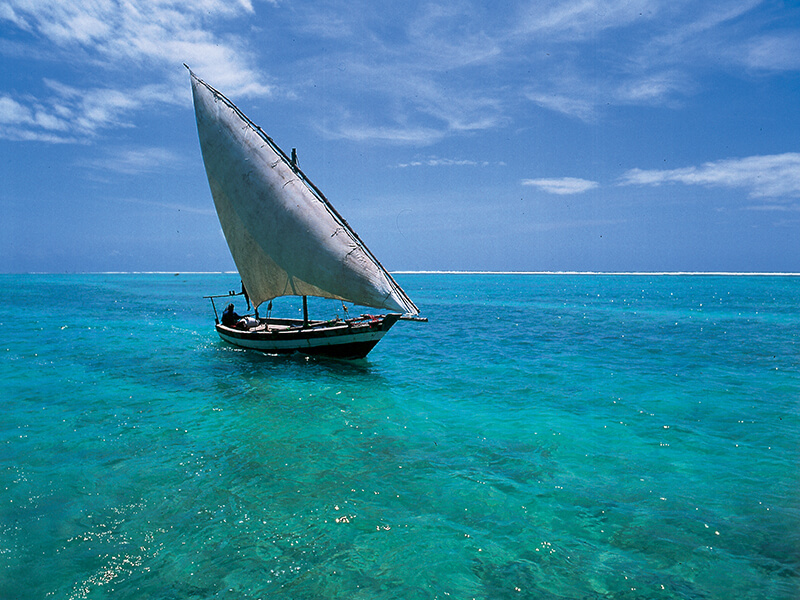 The Island of Mozambique or Ilha de Mozambique as it is known locally is a Unesco World Heritage site for good reason. Discover a thousand years of history and explore this amazing island as part of a holiday package with flights to Nampula and a short road transfer. we have some great accommodation on Ilha that we recommend from previous happy travelers and explorers. 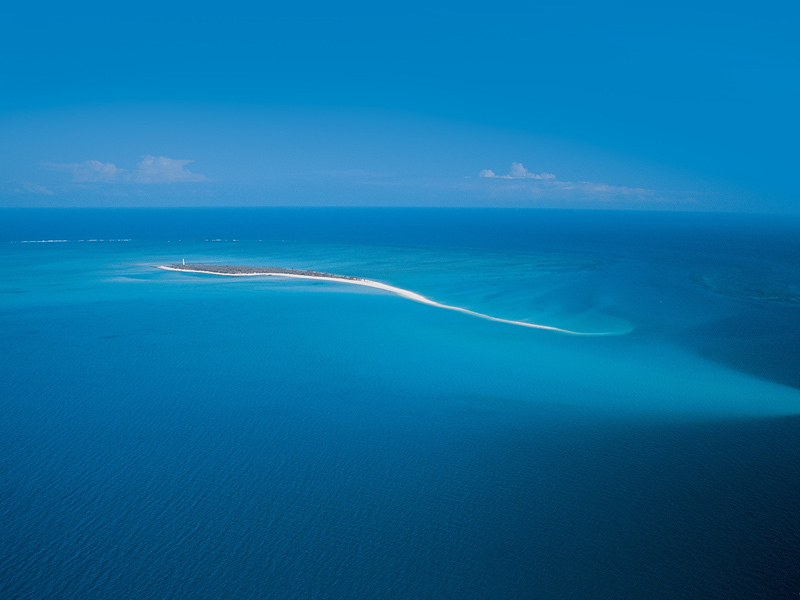 And if you are feeling adventurous head further north to Ibo Island which is a smaller version of Ilha de Mozambique. Though not as grand it has incredible charm and atmosphere and is a lot less populated and crowded than Ilha. The best thing you can do is spend a few nights on Ibo and then take a dhow safari and explore the islands of the Quirimbas. 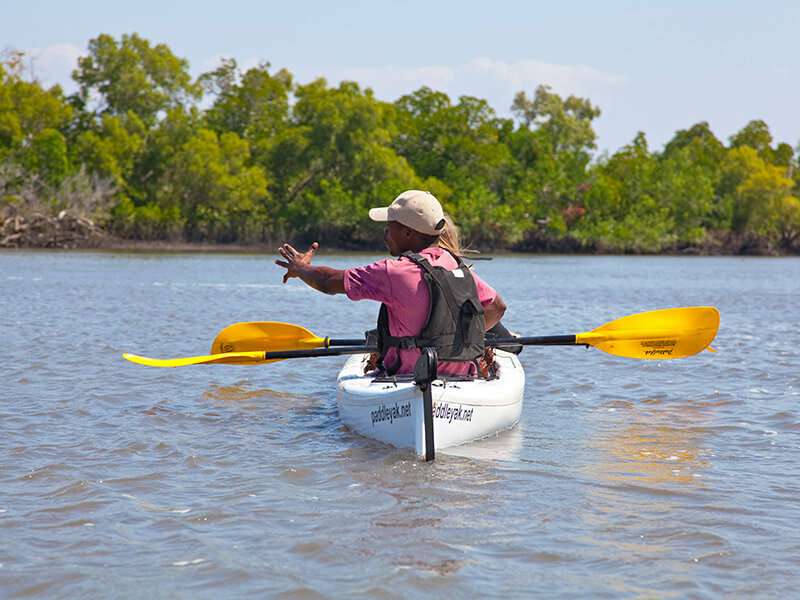 Fly camp on islands with a seasoned guide to show you around. 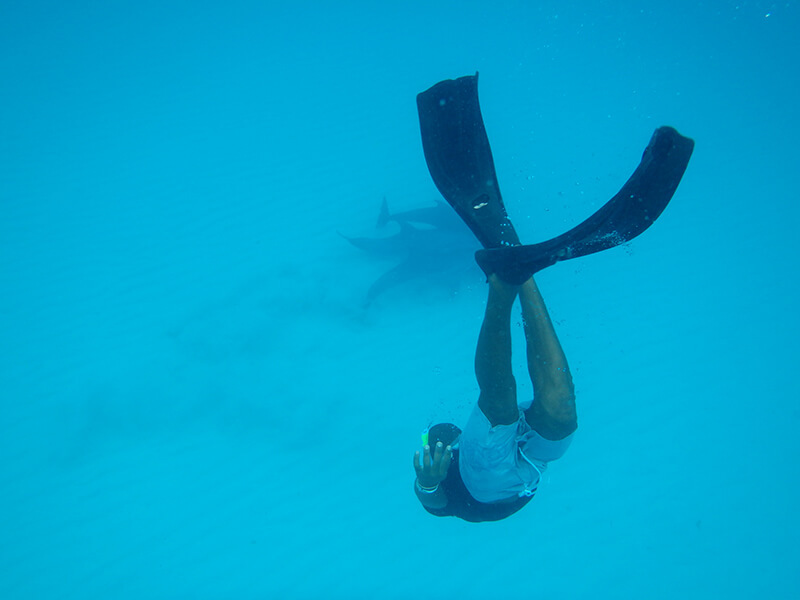 Fish, snorkel and even swim with dolphins on Ibo Island! 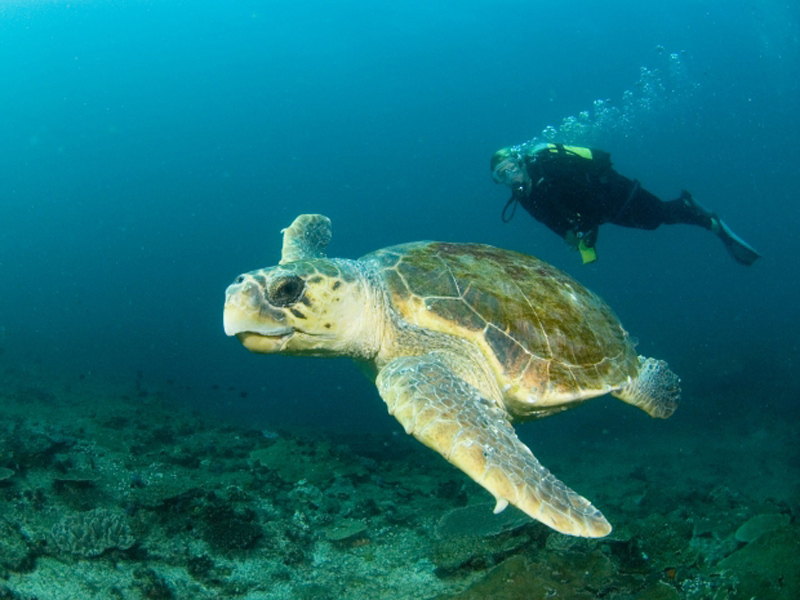 Scuba diving is definitely something you do in the Quirimbas Archipelago. Warm clear waters to spot unbleached coral reefs, game fish (such as Yellow fin tuna, Barracuda, King Fish and Marlin), Whale sharks, Red snappers, Green and Hawksbill turtles, pods of Humpback dolphins as well as the Humpback whales in season. Diving sites are centred on the islands and their luxurious lodges. The resident PADI Dive Instructor at Dive Quirimbas on Ibo Island , for example, offers fantastic dive training courses and huge adventures for accredited divers. You can book a mobile island hopping dive safari for one of the most unique dive experiences in Africa. The charming Bazaruto Archipelago islands also offer some of the best diving in the world, thanks to their pristine coral reefs and healthy fish stocks. Divers go down to depths varying from 12 metres to 40 metres where they discover protected reefs brimming with game fish, giant lobster, sharks, Manta and Spotted Eagle rays, Green turtles, Whale sharks and Humpback whales. Some divers will be lucky to come across the rare Dugongs swimming in shallow clear waters where plentiful starfish, anemones, seahorses and tropical fish display their colours. There is no place more deserving of the prestigious Tripadvisor Certificate of Excellence than Ibo Island Lodge. A place where ancient and modern cultures mingle, this is the ideal base from which to tread the path of history and explore an island once lost to the ever-changing world beyond. Immerse yourself in the beauty of Ibo Island when you browse through the candid photos of this romantic, off the beaten track holiday destination in the Quirimbas Archipelago. Housed within the thick coral walls of three mansions that have stood the test of time for over a century, the 14 individually designed rooms of this Mozambique accommodation have time and again impressed discerning guests from all corners of the globe. The Trip advisor reviews and traveler comments are enough to get you booking your next holiday to this idyllic retreat! 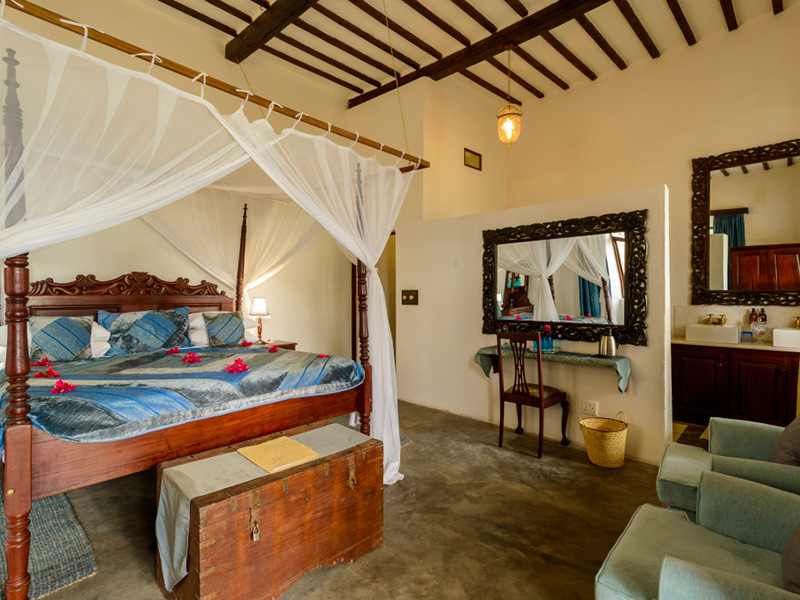 Understated luxury is what you can expect at Ibo Island Lodge, whose high ceilings, solid teak beams and elegant pillars complement the beautifully hand crafted furniture. Air conditioning and ceiling fans come standard with each room. The communal areas include 2 swimming pools, private dining room, cozy lounge and a rooftop terrace where the restaurant and bar are located. Click here for more details on the property. “Our second trip to Ibo Island was even more perfect than the first. We loved the surroundings which are unique, a step back in history with charm and tranquility. The staff were attentive and friendly, and gave excellent, personalized service. My husband celebrated his birthday there to which we enjoyed a wonderful birthday dinner on the beach in front of the lodge… For those wanting something out of the ordinary and stepping back into history with the most spectacular panoramas, this place should be high on your radar. It is an absolute gem.” Sue from Cape Town wrote on Tripadvisor. Mozambique is fast becoming the destination to visit for birders. It has vast unspoiled areas and is unexplored by many. Renewed access to Mozambique after years of isolation by civil war has provided exciting possibilities for birders and the central and southern parts of the country.Birders travelling in Mozambique will need to be largely self-sufficient, and preferably travel in more than one vehicle, including at least one four-wheel-drive. Landmines remain a concern, although it is possible to enquire locally as to which areas are well-established to be safe. The country still offers much untapped potential to adventurous birders, and every trip turns up many exciting species from both a southern African and global perspective. Ibo Island Lodge lies in the north which still remains unconquered and there is lots to discover for birders. Ibo sits in a breathtakingly beautiful and unique location surrounded by Indian ocean and coral reefs, the Quirimbas National Park and one of the largest groves of mangroves in Africa. A guided walk is one of the best ways to discover Ibo’s varied flora and fauna and outstanding bird life. Early to mid morning or later in the afternoons is best recommended when it is generally cooler for walking. Walks can be tailor made to suit your specific interests and are arranged with your guide the day before. Birding at Gorongosa National Park is really an experience. This proposed itinerary details what the guest might experience in terms of the actual walking safari and the birding experience. Our highly experienced host (Zimbabwean professional guide) will introduce you, during your stay at Explore Gorongosa, to some incredible birding specials that are available in the region (many of them quite ubiquitous in the right places). Your time with us at Explore Gorongosa will also take in much of the re-emerging wildlife of Gorongosa National Park, as well as being a chance to wind down and enjoy some much-needed getaway-from-the-world time! Niassa Reserve lies in the vast region incorporating Northern Mozambique and Southern Tanzania is a relatively untapped treasure-chest for African avitourism. Niassa Reserve, a 42,000km2 nationally protected reserve (Mozambique’s largest) is situated between the Rovuma & Lugenda Rivers in the far north of Mozambique. The reserve is part of the greater Niassa-Selous TFCA which, combined, is the greatest conservation area in Africa, with highly significant populations of wild dog, sable antelope, other endemic antelope species, birds, amphibians, reptiles, vegetation and aquatic species. Four bird species that are designated as globally threatened (BirdLife 2000) have significant populations in the Niassa Reserve, namely the Taita Falcon, Southern Banded Snake-Eagle, African Skimmer and Stierling’s Woodpecker. Other exciting species of the Niassa region include the enigmatic and elusive Dapplethroat, Thyolo Alethe and both Long-billed & White-winged Apalis. Read more for a sample safari of 8 – 10 days. Gorgeous African sunsets, solitude and peace are a reality at Benguerra Lodge. Guests can choose to do as little, or as much, as they want… Relax on unspoiled and uncrowded beaches or dive the pristine, uncharted depths. Take a walk through the indigenous forest and enjoy excellent bird watching, or have a castaway picnic on a remote stretch of beach. In addition to numerous mouth-watering species peripheral and localised in more accessible Zimbabwe and South Africa, the lowland forests and miombo woodlands of central and southern Mozambique offer some of the best sites globally for such species as Olive-headed Weaver, Green-headed Oriole, Blue-throated Sunbird, East Coast Akalat, Chestnut-fronted Helmetshrike, White-breasted Alethe, African Pitta and Locust Finch, and are the wintering grounds of the localised Mascarene Martin. Furthermore, the coast offers such tropical delights as wintering Crab Plover & Greater Frigatebird. 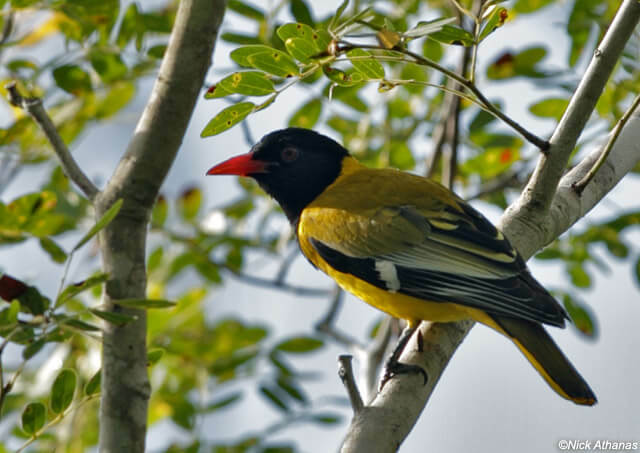 The most popular areas for birding are, in central Mozambique, the highland forests of Mount Gorongosa, and the woodlands and lowland forests between Beira and the Zambezi. Further south, excellent birding is to be had in the woodlands around Panda and along coast around Inhambane, Vilanculos and Bazaruto Island. The vast area of Mozambique north of the Zambezi has remained virtually unexplored since Jack Vincent`s explorations there in the 1930s. Access to the region is however reasonably good, and a 1998 expedition to Mount Namuli near Gurue re-discovered the country`s only endemic, Namuli Apalis, hitherto unseen since its 1932 discovery and found to be still thriving in the forests of this truly spectacular massif. Other exiciting species of the northern forests include the enigmatic and elusive Dapplethroat, Thyolo Alethe and, on Mount Chiperone further south, White-winged Apalis.